Iris House Children’s Hospice in conjunction with Puppy Love Doggy Day Care, held an open day on Friday the 4th of May for their new Protective Workshop on the grounds of Stikland Estate. The new venture will be run by dog specialist Carmia Le Roux and her experienced team. Iris House has provided work for four carers and a safe space for four young, special needs adults who will earn a stipend from the Day Care. As funding has not yet been secured, the young adults will attend only a few days a week (Tuesday, Thursday and Friday). Our hope is that we can give these young adults a “reason” to get out of bed each morning, and a feeling of purpose and belonging and eventually have them attending the doggy day care daily with their carers. To the best of our knowledge, this project is the first of it’s kind in the Western Cape. We have found a similar successful model in Gauteng, but it is only for Autistic young adults, whereas the Iris House Model is fully inclusive of all disabilities. This is just the first phase of the project. We hope to secure funding soon to be able to replace the rented units with permanent ones, add more fun activities for the dogs and pathways for our wheelchair users. Phase two and three will see us expand the project into a full grooming parlour unit and also a home cooked dog food kitchen, where we intend to cook nutritious and delicious meals, that will be packaged and sold. Eventually, we believe the Doggy Day Care will provide stable work for 15 carers and purpose for 15 special needs young adults. We are excited at the prospect of combining the non-verbal communication of dogs, with our many non-verbal young adults, and seeing the connection that “magically” happens! We invite any interested sponsors to contact us if they would like to be part of this ground breaking workshop. 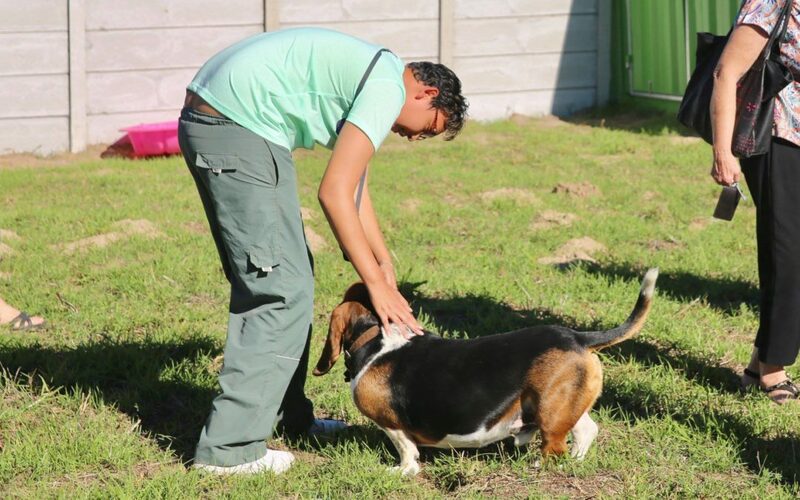 If you are looking for a wonderful, safe environment for your puppy to socialise while you’re at work, please contact Carmia on info@puppylovedaycare.co.za.